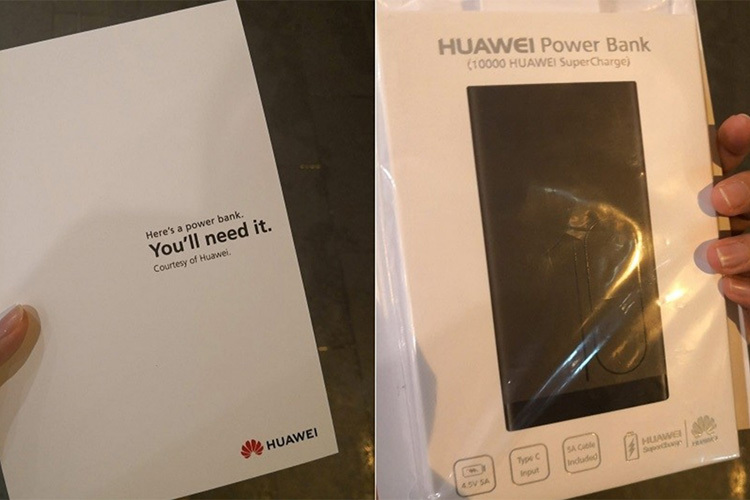 Continuing its marketing strategy of continuously bashing the iPhones in sometimes subtle yet effective ways, Huawei has now taken it to the next level, and honestly this time it’s a little funny. Oh, and by the way, these aren’t just any old power banks that the company is giving out. They’re the company’s SuperCharge 10,000 mAh Powerbanks that retail for around $99 a pop. So, if you’re one of the people who were given these power banks, well, enjoy it with your new iPhone. To be honest, you probably won’t regret buying the iPhone with or without the free power bank, but having that as a freebie is definitely a plus!